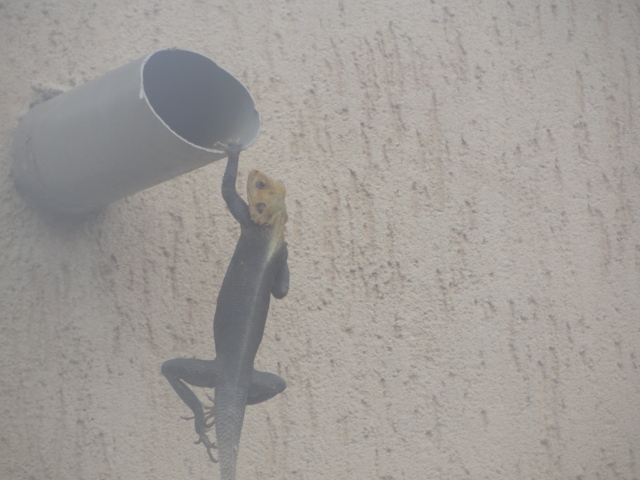 Strange happenings abound in Togo. 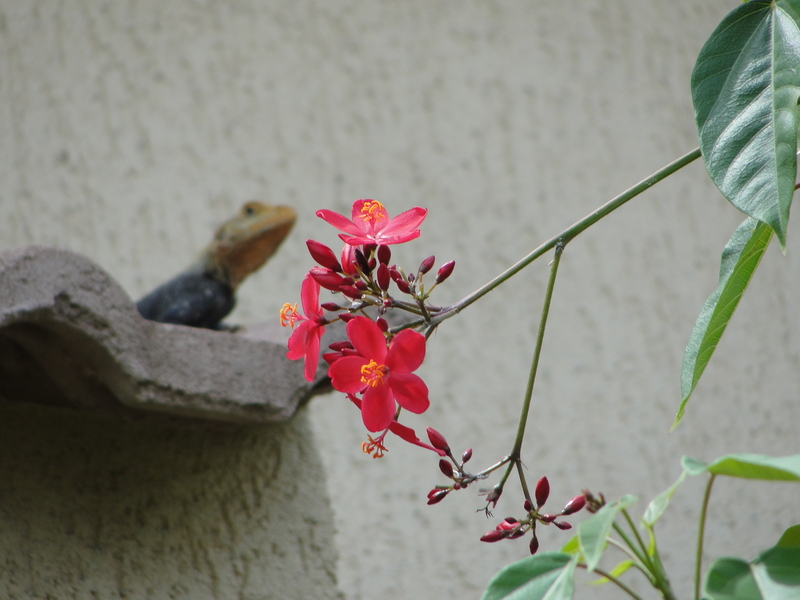 For instance, this African Rainbow Lizard – what is he doing? Is he hanging on for dear life, or is he proving his bravado? Norm named him Mr. Sargo because we always caught him hanging around our yard. Pun intended. Here he is taking a sunbath. I think the lady lizards really dug him. 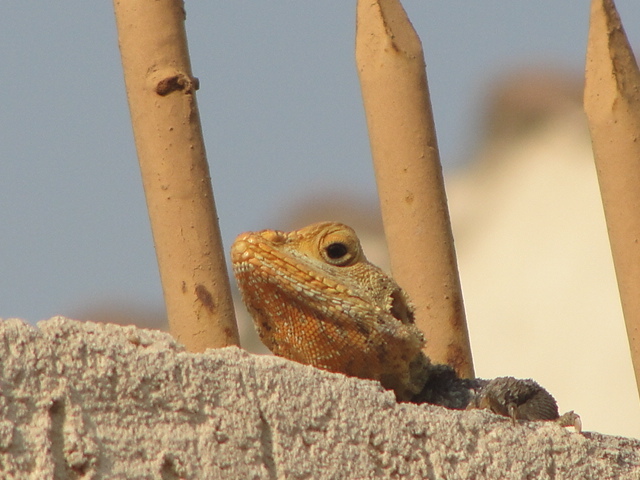 Wouldn’t you if you were a lizard? We just couldn’t do anything without Mr. Sargo butting in. 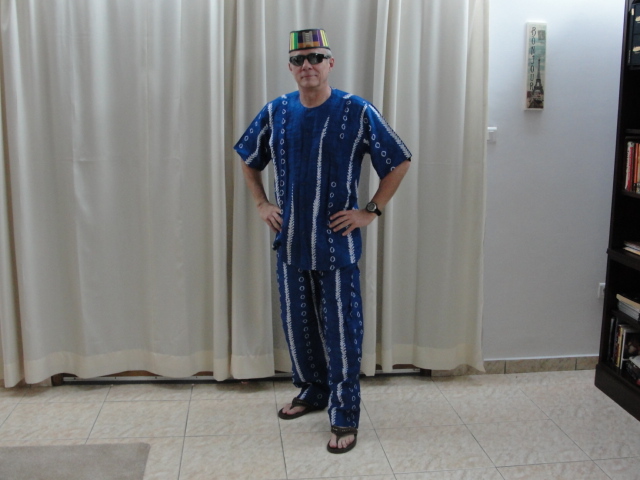 How is this for strange – a Yovo wearing traditional West African garb. At least he could have coordinated his hat and outfit. The Togolese would have done that. I suppose that is what makes Westerners stick out, huh? This guy was selling mops on the corner, not so strange really, except that he carried the mops on his head. 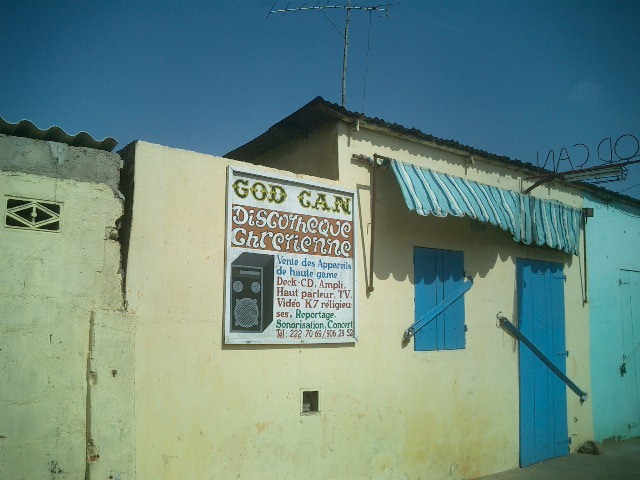 The name of this disco is “God Can.” We were not sure what that meant. 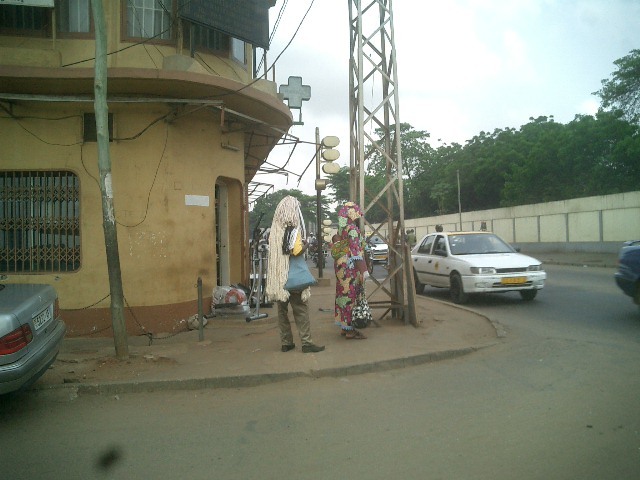 There is always something to see in Togo.